Join our singles’ tour and meet hundreds of island ladies seeking marriage to a foreign man like you! There can be more than 7,641 reasons to visit the Philippines. It has a wide array of both modern and historical sites that will surely fascinate you. Among the sights to behold are the beautiful Filipino women. In fact, the country is a great place for many foreigners to pursue an everlasting love with a Filipina. 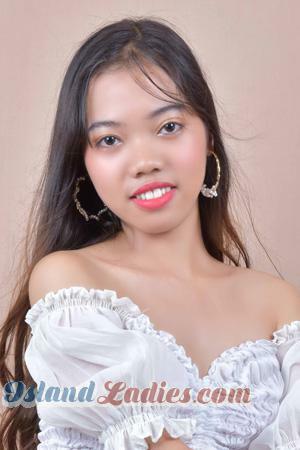 These stunning women from the Philippines are undeniably experts of household management. They always make sure that they transform their house into a home filled with love. They are capable of managing all the household chores, being a nurturing parent, managing the household finances, and more. These women are always thinking about the future of their family. This is the main reason why they set aside money for their children and rarely engage in any luxuries. They are practical ladies who spend their money wisely, and do so in good investments that are practical and beneficial for their family members. Filipino women come from a culture wherein happiness is highly important. As a result, they tend to prioritize the happiness and health of their husband and kids --- sometimes above their own! They believe that building a foundation for their family and raising their kids right is just as important as other aspects in life. Mentioned above are the top three reasons why island ladies are the best brides. With these aspects in mind, you will surely have a successful and happy life with a beautiful Philippine bride by your side. Browse through our site to find out how to meet Filipino women in the Pearl of the Orient. Register on our site today and get a chance to meet these island ladies by joining our singles’ tour. Have you ever wondered why Filipino women are considered one of the most-sought after brides by foreign men from across the globe? One of the reasons for this is, is their captivating beauty. These ladies may be head-turners, but these women are more than what their beauty offers. These women always think about the well-being of their family. They always inform each family member about their decisions and would often seek the family’s advice on important matters. These ladies always adhere to what’s moral in their society. They observe the traditional values that they have learned from their parents and pass them to their children. Moreover, these women are very traditional in relationships, often choosing to make a relationship last instead of jumping ship. Island ladies show concern to everyone, especially those who are special to them. This is due to their kind heart. When they become mothers, they unconditionally love their children. As a Filipina’s partner, you can expect her to shower you with love and affection every day of your life together. With these in mind, you will be assured that marrying a young island lady can go a long a way in building a happy family. You will be at peace knowing that your family is well-taken cared off. Your dream of bringing home a Philippine bride is a click away --- sign up on our site for free and get a chance to win a free tour to the tropical Philippines! Get yourself a Philippine bride by joining our romance tours to the Philippines. Every woman in the world is unique in her own special way. The differences between women of differing nationalities is attributed to cultural and environmental factors. In fact, it is these two factors that directly affect how a woman’s personality is shaped and how well she handles relationships. These women respect the authority of their husbands because of the Philippine tradition that the father or husband is the head of the family. They support their husbands in whatever decision they make, as long as it’s for the welfare of the family. On the other hand, western ladies often think differently. They usually question their role in their family and society as a whole. Their different beliefs can sometimes clash with their partners, leading to misunderstandings along the way. Philippine women are traditional and this is evident with how they deal with relationships. They take dating seriously and believe that sowing wild oats is a bad idea. This clashes with their traditional and religious beliefs and is part of the dating culture of the Philippines. On the contrary, Westerners are usually into casual dating. When they’re the same age, most of them prefer casual relationships, as their priorities in life differ. For most western women, establishing a career is more important during their younger years than finding a suitable partner. An island lady is very affectionate to her spouse. These women are considered one of the most romantic women from all over the world. Your Filipino girlfriend won’t be shy in expressing how much you mean to her, be it through words or actions. You can expect her to express her love for you through meaningful gestures, such as preparing your favorite dish after a long day at work. Conversely, the Westerners are not very particular with sweet gestures. They are raised to become independent and strong. This trait can sometimes shine through in their romantic relationships as well. These ladies have many distinguishing characteristics from one other, but both deserve unconditional love. If you prefer how a Filipina handles a relationship and would love to meet one, join our Philippine singles’ tour! Don’t miss the chance to meet your stunning Philippine bride and spend the rest of your life with her. Learn how to meet a FIlipino woman through our site. The Philippines is a country of interesting cultures and traditions. In fact, they still practice their traditions until today, particularly their traditional wedding practices. In the country, weddings are one of the most vibrant celebrations. For Filipinos, it’s not just about the bond shared between the couple, but also the unity of two families. This is where a traditional Filipino wedding starts. The family of the groom-to-be visits the bride-to-be’s family. The groom’s parents are the ones who express the groom’s intentions, and will ask for the bride’s hand for marriage. When the bride’s family agrees, the planning then takes place. The groom will go to the bride’s house for several days to help with the household chores. This is intended for the groom to prove his worth to the bride’s family. It’s also a way of testing the groom’s sense of responsibility. A night before the wedding day, the groom and the bride are not allowed to see each other. They are also not allowed to try their wedding suit and gown before the wedding. It symbolizes bad luck for the marriage. The bride and groom should not go together to church, because this symbolizes bad luck. They should separately arrive and the groom should arrive first, because they believe it bestows abundant blessings in their married life. Well-wishers should avoid giving sharp-pointed objects as gifts to the newly-weds since it symbolizes bad luck. Sharp-pointed objects are used to cut things, and it is believed that this might also cut the marriage short. Conversely, a chamber pot is a more favorable gift, since it symbolizes money and good luck. A Philippine wedding is truly a festive celebration. It is like a reunion of your bride’s kin and your own. If you are planning to marry a Philippine bride, then it’s very important for you to learn her wedding culture too, as this ensures that your ceremony goes well. Take the first step in searching for the Philippine bride of your dreams. Register on our site today and begin browsing through our personals --- all these women are eager to meet you for love and marriage!